Wow! Love the clear and red hammered whittled examples and the light amber is also a beauty. Last night the 49er HBA members got a special treat at our monthly meeting. Probably the best pickle display on the West Coast. Put together by two really great guys in our hobby. We would like to thank Gregg and Gary for sharing their passion and love of beautiful glass. This is one of the great things about being part of the 49er HBA, our member support. Anyone bringing gold rush soda's or western meds to sell? As if enough isn't going on during the Downieville Bottle Show a hungry bear bulking up for winter broke into the Pizza Parlor here in town and had his way with the contents. 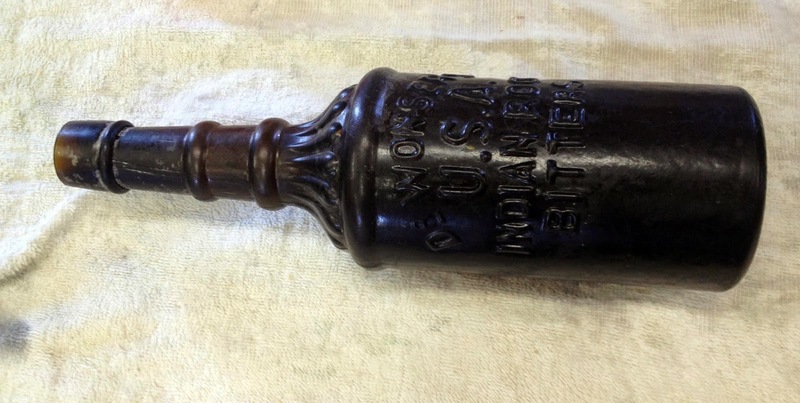 Western insulator and bottle collector Dwayne Anthony was Johnny on the spot and captured the bear as it escaped from the building. Early lookers 8:00 am to 10:00 am, Free admission 10:00 am to 3:00 pm. 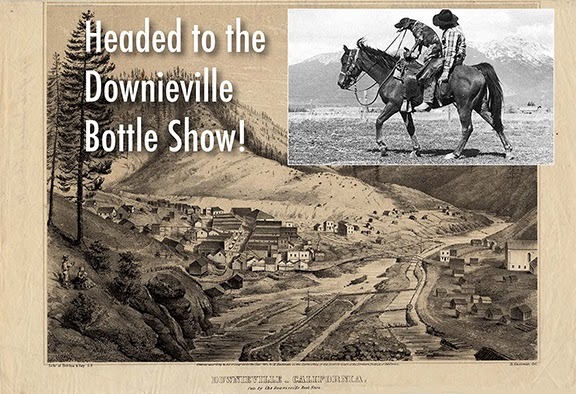 The bottle display at this years Downieville Show will feature Gold Rush, Western and Napa Soda bottles. Fellow collector Mike Henness has been lobbying for part of this years display to include the prolific Napa Soda. There are dozens of variants of the Napa Soda and I think this would be a great addition to this years display. So... don't be shy or bashful. Open that bottle cabinet and bring your interesting or unusual Napa's to this years show to display! Downieville's displays are non competitive, no awards presented just great bottles for all attending to enjoy. Don't forget to bring your Napa's!